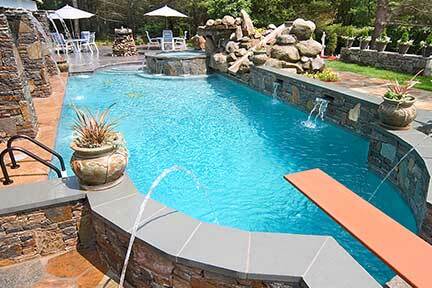 For over 60 years, Rizzo Pools haa created some of the most elite custom pools in Connecticut. Whether you are looking to enhance your property with a traditional in-ground pool, a freeform natural pool, a cutting-edge infinity pool, or something that’s never been done before, Rizzo Pools can handle it all. 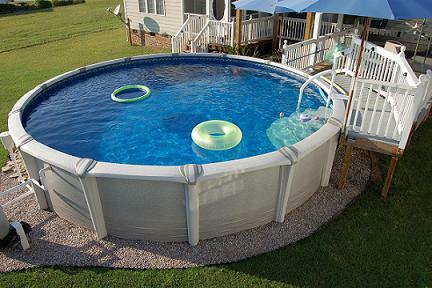 Cheaper than an in-ground pool, quicker to install and just as much fun, above ground pools are a great addition to your home. At Rizzo Pools we carry a terrific selection of above ground pools that will provide you and your family with refreshing fun throughout the summer. 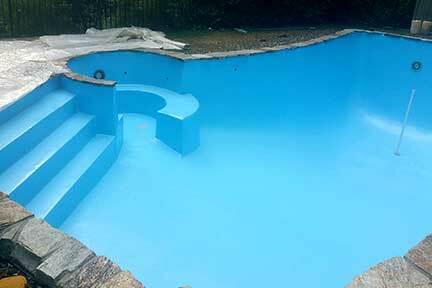 As swimming pools age you need to maintain or repair things in your pool. Rizzo Pools can help you in any way you may need with licensed and certified personnel. Repairs range from coping and cracks, to liner replacement and mechanical repair or replacement. 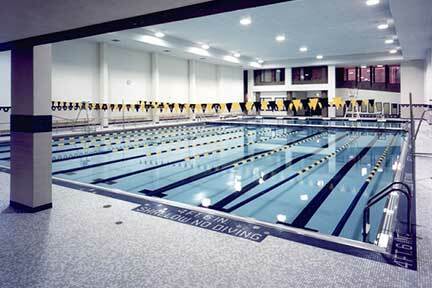 Rizzo Pools specializes in the development of new construction and renovations not only for homeowners but also municipalities, institutional, collegiate, and sports clubs. We can help you build public, private, and world-class resort commercial pool facilities that will fit your needs and budget. 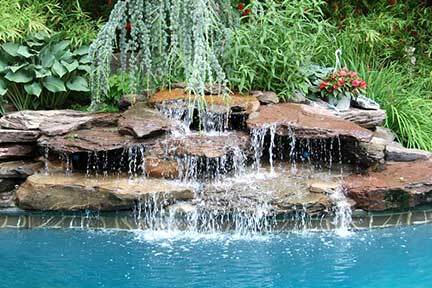 Waterscapes are the focal point of many landscape settings and enhance the natural beauty of your site in a way that will add beauty and value of your home. Our waterscapes are designed to be energy efficient, requiring minimal maintenance.